Here are a few highlights from our latest newsletter! For the full newsletter, here is the link. Definitely check it out! Remember – always take into consideration your host country’s culture, customs, and language(s) to ensure that the most efficient and effective feedback mechanism is put in place! “On April 25th, an 7.8Mw earthquake hit Nepal. To date over 8,000 people have died in the earthquake and over 19,000 injured. 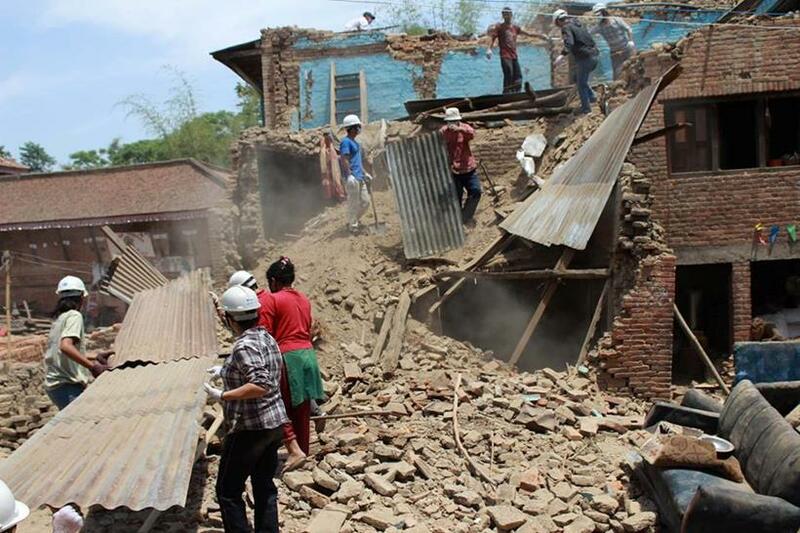 Additionally, hundreds of thousands of Nepalese have been rendered homeless.” In response, two of our member organizations, Projects Abroad and Habitat for Humanity, both of which have had long-standing work relationships in Nepal, went to work immediately. We thank our member organizations for their incredible work! When a person commits their life – no matter how much or how little of it – to true volunteer service, they often do it for no reward, other than the fulfillment of bettering the world. However, it is always wonderful to see people making headlines for their tremendous work and dedication to the field of volunteer service. Today’s spotlight is dedicated to a very special family in the Philippines: the Balmedianos. When Benny Balmediano suffered a cardiac arrest in 2004, his son Bryan successfully resuscitated him with his first aid training as a volunteer for the Phillippine Red Cross (PRC). After this life-altering event, Benny, alongside Bryan, joined the International Red Cross and Red Crescent Movement as a volunteer driver and emergency responder for the PRC. He even encouraged his daughter, Apreillou, to join as a volunteer as well. However, on the night of February 19, 2012, while responding to an incident in Kidapawan City, Benny died in an explosion while trying to shield Bryan. Their father’s death has drastically impacted the lives of Bryan and Apreillou, but they have decided to continue their volunteer work with the Red Cross. Together, they have been saving countless lives through their efforts to both preserve the lives of the people in the Philippines, as well as the the legacy of their father, Benny. Wherever you’re traveling, you’re guaranteed to be walking…a lot. Invest in a comfortable, high quality pair of shoes. It doesn’t necessarily have to empty your wallet, but definitely something you can count on for long, taxing hikes throughout the duration of your trip. Make sure they’re closed-toe to prevent bug bites and cuts, weatherproof for when Mother Nature unpredictably strikes, and make sure they aren’t flashy, but they are very, very durable. And definitely don’t forget to break into them before your journey! Your feet will thank you! Meet Our New Summer Interns! 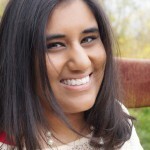 My name is Srisivaa Karri, or Sri for short, and I am the new summer Communications Intern for IVPA! I am going to be an incoming sophomore at The Ohio State University as a double-major in Communications & International Studies with a minor in Global Public Health. I love volunteering and have done it for many years, ranging from assisting physical therapists, to tutoring underprivileged kids, to sponsoring 6 orphan children through SOS Children’s Villages International, but I’ve never been able to do anything outside of my hometown in southern Ohio. My dream is to go on a volunteer abroad trip, which I hope to do in the near future. Be sure to check out IVPA and Everyday Ambassador’s blogs for new posts! My name is Annemarie Morris. I was born and raised in South Florida but am currently studying at Marist College in Poughkeepsie, NY. I am going into my senior year majoring in Communication Studies and minoring in Social Work. Volunteering has always been an important part of my life as I spent endless hours at my local homeless shelter. Presently, I volunteer at my college local Astor Head Start Preschool. 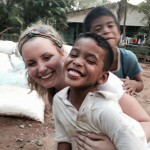 Last summer I volunteered at an orphanage in Rio Dulce, Guatemala which expanded my passion for volunteering internationally. I had the pleasure of spending last fall studying abroad in Barcelona, Spain and traveled around Europe.